Good Morning, hotel complex, consisting of a small hotel on 6 rooms that can accommodate 14-19 persons, and the hostel for 28 people. New furniture and fresh repair in all residential and common rooms, modern showers and toilets, as well as reasonable prices attract guests in hostel Good Morning. Hostel and hotel Good Morning can offer its guests the following services: transfer from/to airport or stations, visa support and excursions. 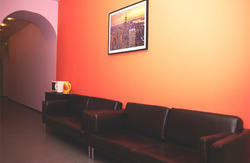 Guests will benefit from free Wi-Fi access is available throughout the complex. Guests of the hostel will be able to prepare your own food or drink a cup of coffee in the well-equipped kitchen, if necessary, the administrator will receive iron and ironing board, hairdryer. The hotel has an automatic washing machine and a safe for valuables. Registration and guest services are available 24 hours a day. 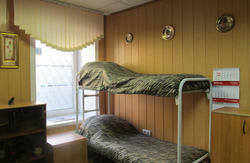 Hostel is located in the center of St. Petersburg near the intersection of Nevsky prospect and Liteiny prospect. Also its close to the metro stations Maykovskaya and Gostiny Dvor , which you can take from the airport Pulkovo-1, Pulkovo-2 and from the Moskovskaya, Ladozhskayarailway stations.